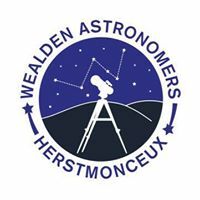 Please pass on our thanks to those members of Wealden AS that managed the car parking duty so well for us at the festival this year. It helps us out enormously and the festival would not run as smoothly without your help - we are extremely grateful for all your input. Thanks also to those who managed to put their telescopes out on the lawns - I hope you had some interested people coming to have a look! Once again a big THANK YOU to all those involved and we look forward to planning the tenth anniversary.